Fall is my favorite time of year. Don’t get me wrong, I love summer but I just love everything about fall – chilly sunny mornings, boots and scarves, changing leaves and making every kind of soup possible! This fall, how about set up a soup bar! Invite friends over to watch some football and offer a few different hearty soups instead of your typical chips and dip. Pair your soups with yummy beer bread and a side salad for a meal that’s sure to be a crowd pleaser! Read on for a few of our faves! 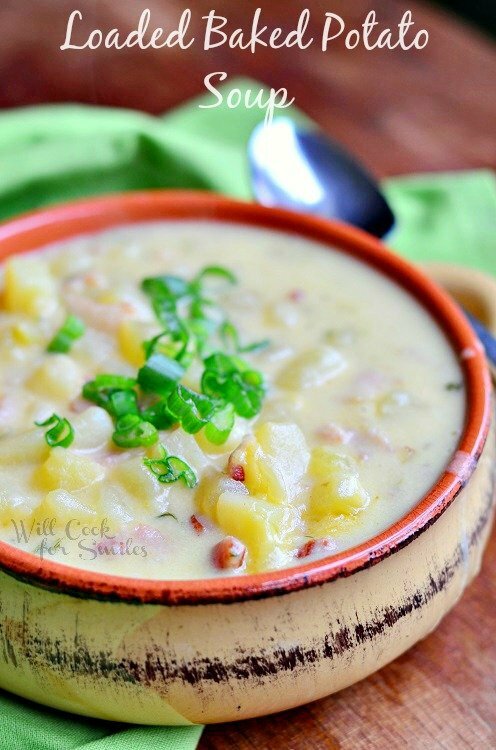 Head over to Will Cook for Smiles for a great baked potato soup recipe! Serve up toppings on the side with a cute hand stamped spoon for a festive touch! 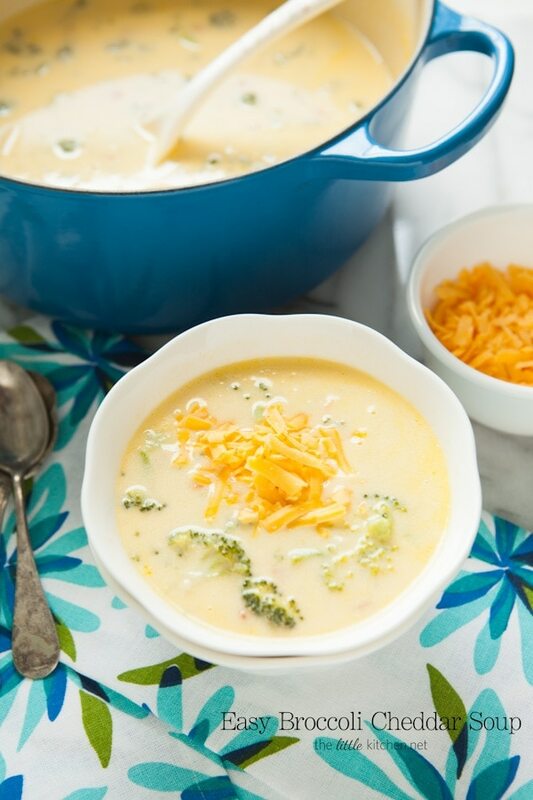 How about an easy Broccoli Cheddar Soup? Check out The Little Kitchen for their delicious take on a yummy favorite. My daughter is crazy about broccoli cheddar soup and couldn’t get enough of this one! Of course a chili bar is a fall meal – especially for football games! We love to put out a big pot of chili with loads of toppings so everyone can make up their favorite bowl. This Pale Ale Chili recipe from Homemade Interest is a perfect one – you can tailor the recipe to your crowd or even make a few batches if you have both vegetarians and meat eaters! Find the recipe here! Check out more of our favorite soups and salads we’ve pinned just for you on Pinterest. This entry was posted in Food & Drink, Recipes and tagged fall, fall-recipes. Bookmark the permalink.